SkepticalScience.Com this week unveiled a downloadable app that supposedly shows how fast heat is building up in the Earth’s climate system due to anthropogenic greenhouse gas emissions. The metric chosen is Hiroshima bombs. The Earth, according to SkS’s app, is warming at the rate of four Hiroshima bombs per second or 400,000 Hiroshima bombs per day. I don’t know about you, but it sounds to me like someone is trying to tell us global warming could be the end of life as we know it. SkS says the point of their Hiroshima bomb calculator is simply to explain in “ways that non-scientists can more easily relate to” how much heat anthropogenic greenhouse gases add to the climate system. It’s supposed to help us laymen understand the concept of radiative imbalance. 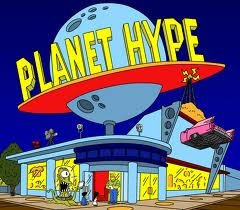 Let’s briefly examine that concept. Both incoming shortwave radiation (sunlight and ultraviolet light) and down-welling long-wave (infrared) radiation warm the planet. Conversely, reflected shortwave radiation and outgoing long-wave radiation cool the planet. 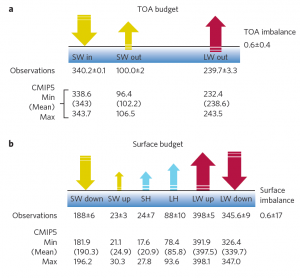 Various observations (with varying degrees of uncertainty) indicate that incoming and down-welling energy exceed reflected and outgoing energy by 0.6 Watts per square meter (W/m2). 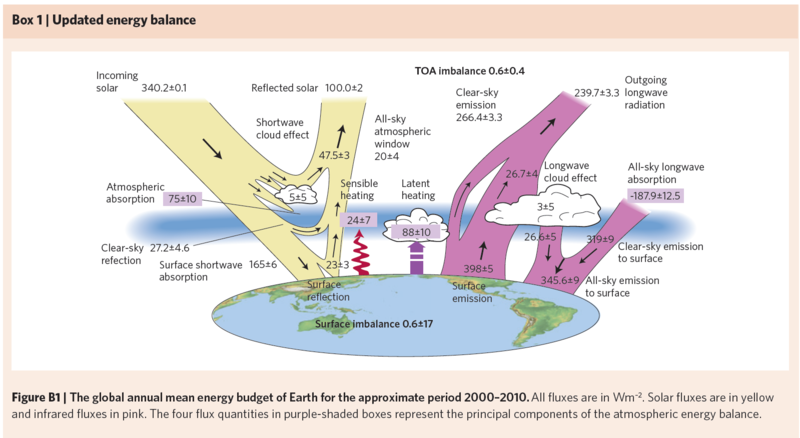 That imbalance is attributed to mankind’s enhancement of the greenhouse effect. It is equivalent to the energy released by 400,000 Hiroshima bombs. Today on WattsUpWithThat.Com, climate researcher Bob Tisdale posts a video commentary on SkS’s Hiroshima bomb calculator. To put 0.6 W/m2 into perspective, Tisdale references Stephens et al. 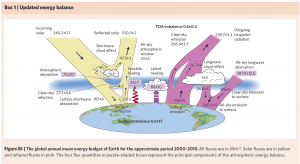 (2012), a study of the Earth’s energy balance in Nature GeoScience. Let’s now proceed to the main point. Each day the Earth’s surface receives 188 W/m2 of shortwave radiation from the Sun and 345.6 W/m2 of long-wave radiation from natural and anthropogenic greenhouse gases. In other words, each day the Sun hits the Earth with the equivalent of 125 million Hiroshima bombs, and greenhouse gases (most of which come from natural sources) hit the Earth with the equivalent of another 230 million Hiroshima bombs. So every day, the Earth’s surface receives with 887 times more “Hiroshima bombs of heat” than the net increase SkS attributes to human enhancement of the greenhouse effect. In short, if the Hiroshima bomb metric had any relevance to public health and welfare, we would all be dead already — or, rather, life would never have developed on planet Earth. Previous post: House GOP: Last Laugh on “Carbon Pollution Rule”?